There are few things more personal and special than the vow you’ll write for your wedding day. It’s an epic moment, a short window to convey the importance of the commitment you’re making to one another. So read these handy tips and let us help you to come up with the words that absolutely nail it. The goal is to etch your words into your partner’s memory for a lifetime. First off, some basic info: Everything is allowed, wedding vows can range from extremely traditional and conservative, to a little more unusual and contemporary depending on whether you want to have your guests in stitches, or pulling out the Kleenex. While you probably don’t want to bore guests to sleep, at the end of the day, the vows are for you and your partner, so it’s really up to you what you’d like to include in them. Writing these vows can be a little daunting, especially for those of us who aren’t blessed with the gift of words or a passion for public speaking. If you’re having a little trouble getting started, or you’re not sure what the end product should look like, don’t hesitate to ask for help. The wedding planners at Botanica Weddings in both Australia and Bali have literally listened to hundreds of vows, and your planner may just be the perfect sounding board if you need a professional opinion! To speak with one of our admin staff directly. Just click here. We offer no obligation consult calls to answer any questions you may have, though you may not be at the vow writing stage just yet, we can offer all sorts of ideas for venue choice, costs and ways to make your big moment completely incredible. This might seem a little too obvious, but please ensure that your partner is on board with writing vows. You may have pictured this moment for a long time (and even have some lines ready), but what if they haven’t? Decide together what kind of vows you’ll want to say on the day if any. If you decide to write your own, you’ll both have to agree and be committed to this concept. It’ll be a tad embarrassing if you announce a long, thoughtful, poignant and personalized vow and they repeat something from a three-lined template. Wedding vows come in numerous shades. There are the traditional ones that stem from religion as well as more secular vows. If you don’t prescribe to any particular religion, you may still want to go down the more traditional route. 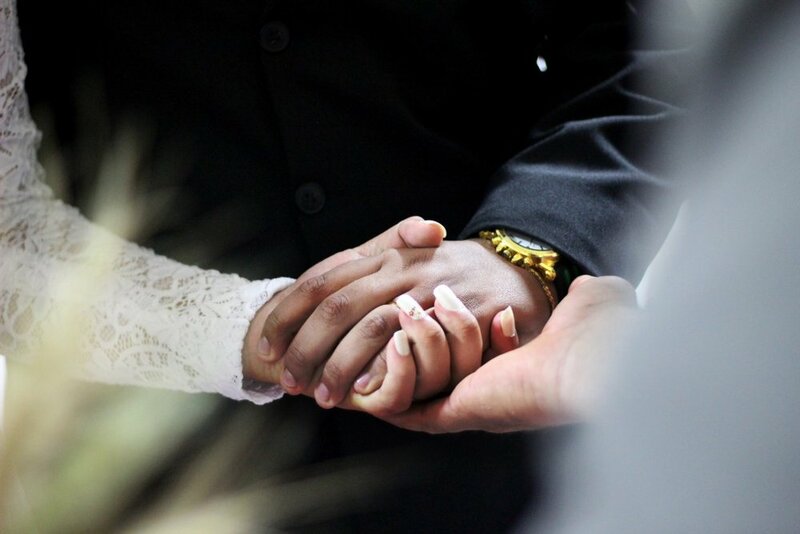 Have a read of some of the vows out there and see which ones resonate with you. Of course you can amalgamate any examples that you find, leave certain parts out or simply use them as a starting point. If you like a certain phrase, take it. Your vows can include anything you think sounds good, even a line in your favourite book, movie or a poem that has a special meaning to you. If you and your significant other have an inside joke or a sentimental quote, don’t hesitate to add it to the mix. Do not – we repeat – do not; leave writing your vows until the day before the wedding. If you and your partner have both decided you want to write personalised vows, give them the respect they deserve and start early. You’ll be saving yourself a lot of stress, and we guarantee that words written two weeks before a wedding will sound better than the ones written at 2am of the big day. It’s always a good idea to write something and “let it go cold” before reading it again. When you look at your writing with fresh eyes, you’re bound to find elements you want to remove, add, restructure or emphasise more clearly. For your first draft, don’t worry about the length. Just write absolutely everything that comes to mind. Write more than you think you’ll need, then during the editing process you can cut it down and leave only the best parts. We recommend you give yourself between two weeks to a month to write and review them properly. You can even ask a trusted friend or family member to go over them and offer advice. All in all, the vow should last for between one and two minutes, so ensure yours fit roughly into this timeframe. It’s a lot longer than it sounds, trust us. This might seem obvious, but to those who aren’t used to being overly romantic or putting their feelings into words, this might take some time. We suggest you really focus, both together and apart, on what you love about each other. Think about all the great times you’ve spent together and the most memorable moments you’ve shared, bad and good. Be specific, be courageous and don’t be scared to show emotion - that’s what will make your vows particularly special. Try asking yourself some deep questions. What are some small things your partner does that make you look at them in wonder? When was the exact moment you knew you wanted to spend your life with them? If you go back in your history together think of the memories and stories that best symbolize your relationship and work from there. If you’re wondering whether or not to remove a little anecdote, for fear of it being “too out there”, it’s best to opt for something a little reserved. Wedding vows don’t have to sound like a Shakespearean sonnet, but if you’re going for something light hearted it’s best to use humour in moderation. Feel free to make them funny, but keep in mind that you’re not there to deliver stand-up, so make sure that the vows in some way acknowledge the significance of the union you are upholding. Remember that your friends and family have gathered to witness your vows in public, so ensure that you don’t make them too cryptic or difficult to follow. You’ll need to rehearse your vows a few times to ensure that you don’t trip up or stumble on your words. Remember that you will want to be looking at your partner while you say them so keep in mind that you probably won't have your nose in a piece of paper. Many people mumble, speak too softy or far too fast when reading so it’s important to practice in front of a small audience who can give you feedback. Ensure that your vows are free of tongue twisters and that they flow well from start to finish. One top tip is to make sure your celebrant has a copy of the vows so they can prompt you by delivering the lines while you repeat them. This is a great backup for nervous couples and the celebrant won’t be heard as they’re not wearing a microphone at that time. Some couples like to wait until the big day to hear their partner’s words but it’s actually a good idea to make sure you’re on the same page before the ceremony. It’s ok for one of you to have something lighthearted while the other’s is an exquisitely written undying profession of their love, but try to ensure that they compliment each other just as you do as a couple. Unless it’s inappropriate, lazy or otherwise unsuitable, don’t try to force your significant other to take a different approach to the one they’ve chosen. You want it to be as authentic and meaningful as possible. It will really show on the wedding day if the words were written by them and whether they are a true reflection of their feelings, so let them write from the heart. Do, however, ensure that they’re roughly the same length and that and equal amount of effort has been put into both. Some couples like to say something unison after individual vows. This will take some rehearsing together to get just right. By ‘make them yours’, we mean personalise or customise them. Change templates even just a little so they convey your personality, and feeling for each other. Also, remember that the suggestions above are just that – suggestions so do what you feel is right! At the end of the day, they’re your special words for your loved one so if you want to take a whole passage from a book, or rehearse a scene from a play, you should do whatever is most meaningful for you and your partner. We believe that your weddings vows are some of the most important words you'll speak in your life but if you’re in the process of planning your wedding then you’ll already be discovering there’s a lot more to do then write vows! At Botanica Weddings, we specialise in making weddings not just beautiful, but tasteful and meaningful to our couples. So don’t hesitate to contact us here and we’ll take some of that stress of your shoulders.